St. Patricks Day today so this piece seems quite apt. 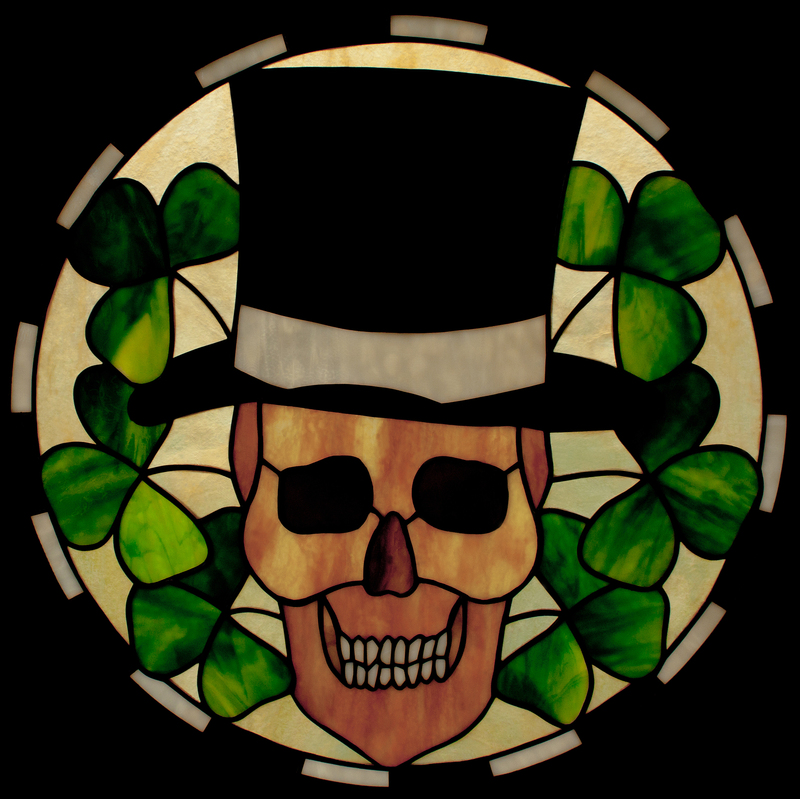 It is made as a pendant, the background glass is a Youghiogheny Stipple, the shamrock leaves and the black pieces are Bullseye Glass and the skull is made with a Uroboros Granite backed and cut using a bandsaw. 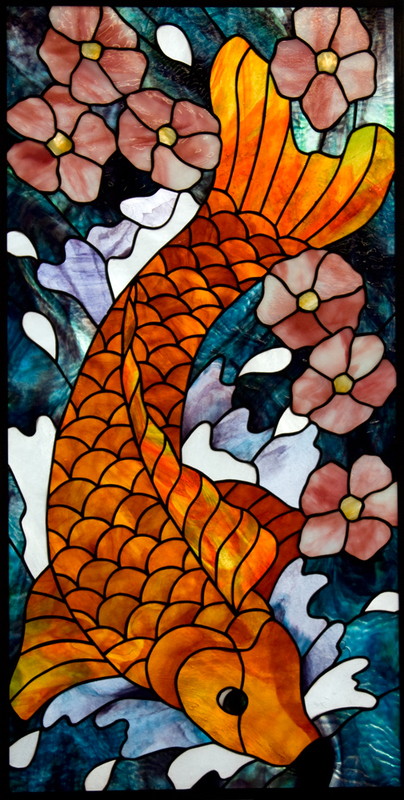 Back to the tattoo influence here, “I always thought a koi fish would work in stained glass just had to do it pretty big”. Quite a bit of work arranging this panel but David eventually settled on him swimming downstream. Bullseye Glass used for the pink cherry blossoms everything else is Youghiogheny. “If you are gonna make skull’s you’ve gotta make a pirate”. 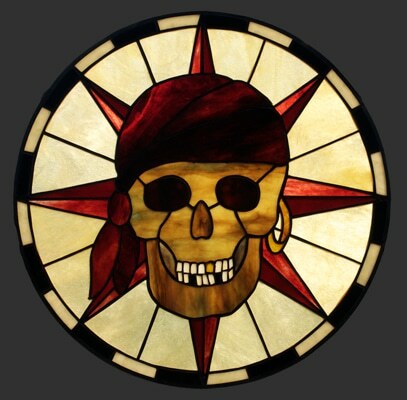 Didn’t have room for crossbones so used a compass rose design with a black and white border to give this stained glass piece a nautical feel.